Sing and slide through bedtime with "Twinkle Twinkle Little Star"! Sing along with the bedtime classic in this adorably illustrated, interactive board book with push-button sound. 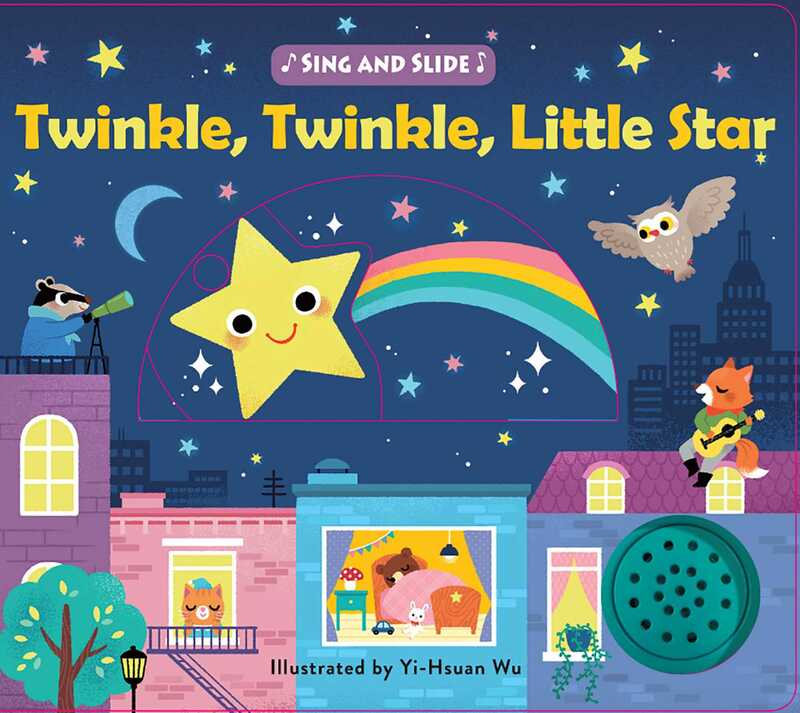 In Sing and Slide: Twinkle Twinkle Little Star, little ones will love sliding and pulling the tabs and spinning the wheel as they sing along with adorable animal stargazers in this classic lullaby. With a sound chip and hands-on elements, this fun book is sure to be a story time staple! Yi-Hsuan Wu is an illustrator with a focus on children's illustration. After graduating from National Taiwan University of Arts, she decided to pursue her dream of being a freelance artist. She currently lives in Taiwan with Sparky the parrot, and spends her time creating cheerful artworks.